Leaks in any size AC&R system; residential, commercial or large industrial facilities, can very quickly become a major concern. Too often the true consequences of not having a reliable leak detection/preventive maintenance program in place can go unappreciated until it is too late. The loss of a “little” refrigerant or lubricant can lead to far more than just inconvenience. Left undetected, even the smallest leaks can grow into major problems. 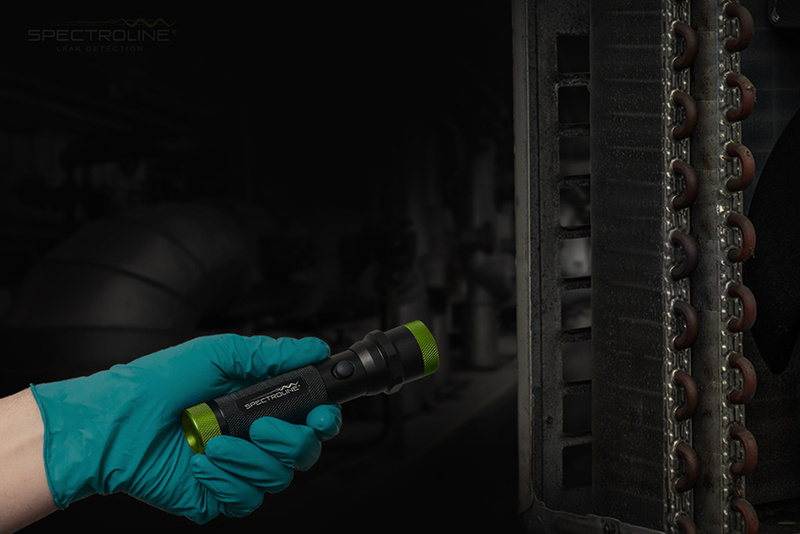 Spectroline® offers a wide range of products developed to pinpoint the exact source of every leak in any air conditioning, refrigeration or industrial facilities system, including OEM-approved fluorescent dyes, high performance leak detection lamps, kits and specialty products, all designed to meet and surpass the demanding requirements of you, the HVAC/R professional. Spectroline® fluorescent dyes are proven to be fastest, easiest and most cost effective way to pinpoint leaks, confirm repairs and be a key part of your comprehensive preventive maintenance program. You never need to flush them out, so they can stay safely in the system, working to find any future leaks. Our dyes are used to pinpoint leaks all around the world from small residential to medium and large commercial HVAC systems. Fluorescent Leak Detection is an extremely accurate and effective way to find HVAC/R leaks. That being said, it’s important to choose a brand who produces pure, safe, highly concentrated dyes and quality inspection lamps to get the most benefit from the technology. Only 2 simple steps, find multiple HVAC/R leaks and use fluorescent dye as preventive maintenance for future inspections. 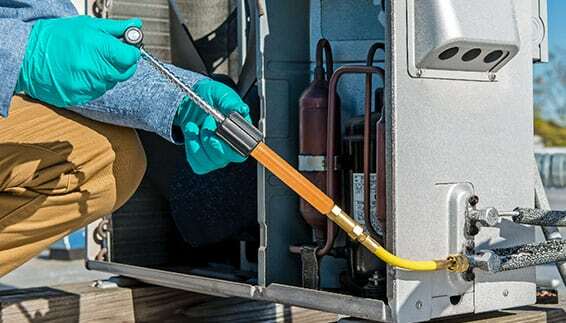 Inject fluorescent dye into HVAC/R system. 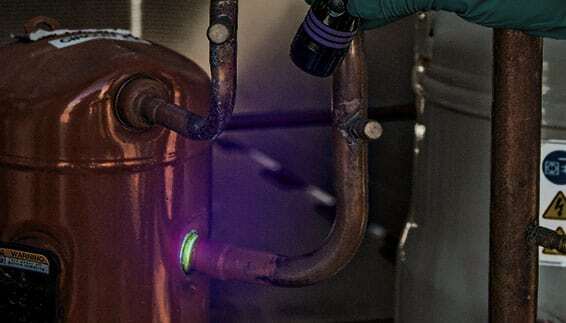 Use UV lamp to inspect HVAC/R System for leaks. Spectronics Corporation invented fluorescent leak detection in 1955, this technology is used by HVAC professionals worldwide to locate fluid leaks in a AC&R system. This process is simple and effective requiring nothing more than fluorescent dye and a UV lamp. 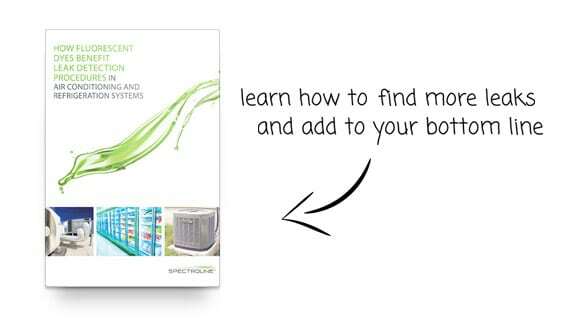 See how it works in our Spectroline Advantage Video. What types of leaks can be found using Spectroline products? Our fluorescent dyes when used in conjunction with our high performance UV lamps customers can easily pinpoint all refrigerant, lubrication and cooling leaks in any AC&R system. Are Spectroline AR-GLO® dyes compatible with all refrigerants and lubricants, including R-410a? Yes, Spectroline AR-GLO® fluorescent dye is a universal (POE). See dosage chart here for your specific application. Will your dye void my equipment’s warranty? Some dyes are approved by manufacturers, and can remain safely in systems for their lifetime. It’s about choosing the right dye for you. Check the dye manufacturer’s specifications for an OEM approval indication. All Spectroline AR-GLO® dyes can remain safely in AC&R systems for their lifetime. Which injection method should I use? It all depends on the size of the system you are treating. Use our EZ-Ject™ or GLO-STICK® injection method for small to medium sized AC&R system, i.e residential, ice machines, window units, refrigerators. Use our BigEZ™ injection method for medium to large sized AC&R systems, i.e commercial, supermarkets, refrigerated warehouses, food & dairy plants, industrial facilities. See dosage chart here for your specific application. Where can I purchase Spectroline products? 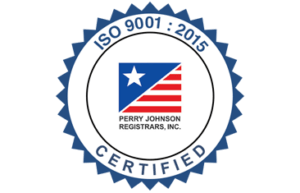 Our products are for professional use and can only be purchased through a authorized Spectroline distributor. Click here to find a distributor near you. Sales Account Manager Air Conditioning & Refrigeration, Matthew Cowley. Which dyes are safe to use in my HVAC system? What kind of lamp should I use? These questions and more are answered in the FREE guide which presents an in-depth look at a more advanced form of preventative maintenance and leak detection.